to help you get great visual impact with your seasonal decor! my fall theme always begins with pumpkins, because I have a lot of them. and of course sweater pumpkins. so i give it to them for three months a year. some like cute witches in orange and green and yellow and black. every focal area has to have some pumpkins. i'm also big on natural elements: bleached leaves, faded roses, foliage & florals in pumpkin colors. add a few 'hard surface' elements: glass, silver, and wood containers. So all of those elements together serve to define and express my theme. 2. find your focal points. walk through your home, from the entry, and pay attention to where your eyes travel. 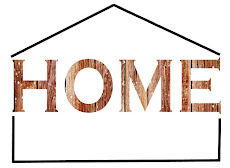 mine are the front porch, front entry, library table, mantel, buffet, dining table, and kitchen window. which will spread the season's 'story' all thru my house. you'll get better visual impact AND save yourself time and money. 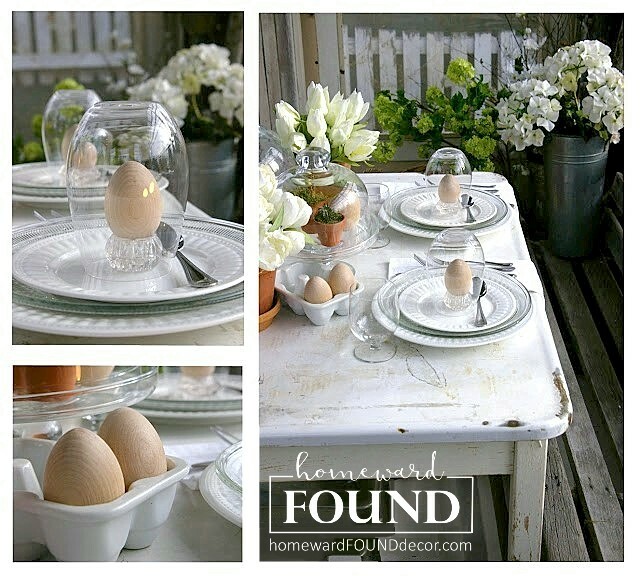 your seasonal decor needn't be on every single table, shelf, area - sometimes, less is more. the mantel is one of the main focal points as you enter this home. as these colors are so vibrant it would have been overwhelming. and a big colorful arrangement of flowers and pumpkins on the other side. i practiced restraint - something extremely hard to do! in retail visual merchandising we normally do everything very BIG and very theatrical. in a home, you have to dial it back a bit - especially in small rooms. 3. use color to pull your eye thru the space. the photo above shows a display in the area just outside the front door. from the first step up onto my covered front porch all the way thru the house, it's the same story. catch your eye and cause you to look EXACTLY where i want you to look in the house! one, it's how i work. i'm obsessive that way. in retail, this practice is called 'color spotting' and it always works. and two, this house is small. i mean, really small. it is a 1924 cottage, not even 1000 square feet. would cause me to lose my marbles staring at it all the time! lets the color in the decor lead the eye of the beholder through the small space. 4. plan flexible, organic displays. on my big long pine dining table, i grouped more of the same elements casually. i wanted the whole scheme to look sort of 'unstudied', just left there as if i had discovered it on a walk. i do add more stuff to my displays all thru the season. keep your displays organic (open to natural change). move things, add things, rearrange things. keep it interesting, not static. i begin in September with my pumpkins 'faceless'. that means if a pumpkin has a jack o' lantern face, it's turned toward the wall or back of the display. in October, i turn the pumpkins around so that the faces show for Halloween. and then in November, i turn them back around again. 5. hang usable objects as art. in a store, this is the equivalent of a moving hanging rack. now it has a hanging straw purse filled with rust-colored silk roses and straw hats. it's a neat 3-D artwork piece - i could have hung a painting here, but this is more tactile and fun. find a coatrack or pegrack, something that you can alter, add to , and change with small touches. can look artful when arranged on purpose. 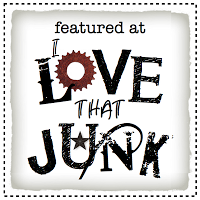 Thanks for the feature, Donna! I've just added a brand new post with MORE ideas for re-purposing OLD DOORS! 6. use light to set a mood. you can see more glass vases with candles and fall leaves. in the photo of the mantel, you can see a small lamp. will add sparkle and glow to your rooms like no ceiling fixture or lamp on an end table can. creating changing patterns across the room and bringing it to life. 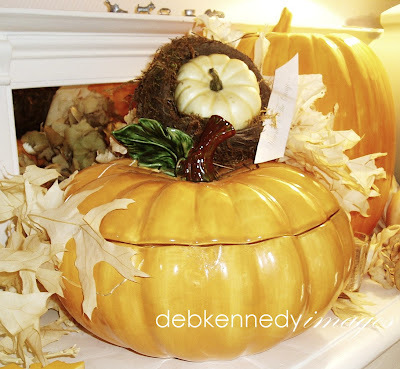 have fun creating seasonal touches in your home! great tips and visual samples.. thank you, much.. I'm ready to come over for some tea! Everything looks so inviting, I figured I'd just invite myself!!!! I was glancing through an old FOLK magazine and came across your pumpkin tutorial...now I need to get busy! I want to be just like you!!!! 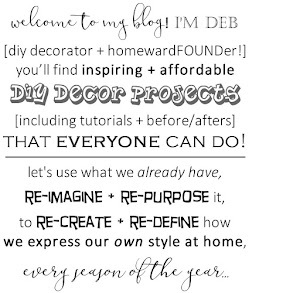 Your blog is so lovely Deb! These are all great tips and just the thing I need to jump-start my Fall decorating! Thanks for sharing. My 1st visual merchandising job was at 18 and Ive been doing it off and on since then and now FT at my shop. Deb you blow me away with your vignettes and visuals everytime. Fall is my favorite season, and you are definitely the Fall expert. If I ever win the lottery, I have to fly you out to NJ to come and give me your advice and expertise on my shop.